I bought my NIKE Downshifter 8 running shoes couple of weeks ago on an amazing deal for just $30. It was quite a good price, considering previously I've seen them for around $45-60 retail price. 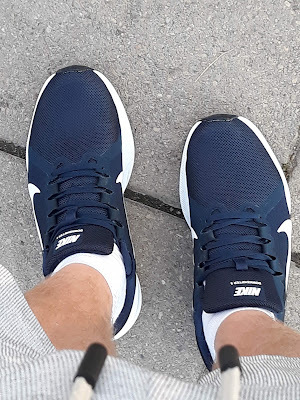 After I wore the Downshifter 8 couple of time and couple of miles, here is my real world consumer review. NIKE Downshifter 8 have simple design, white bottom with blue or black mesh on top depending on the model you choose. There are other varieties of colors and models very similar to the Downshifter 8 but I will pay more attention to them in another review. 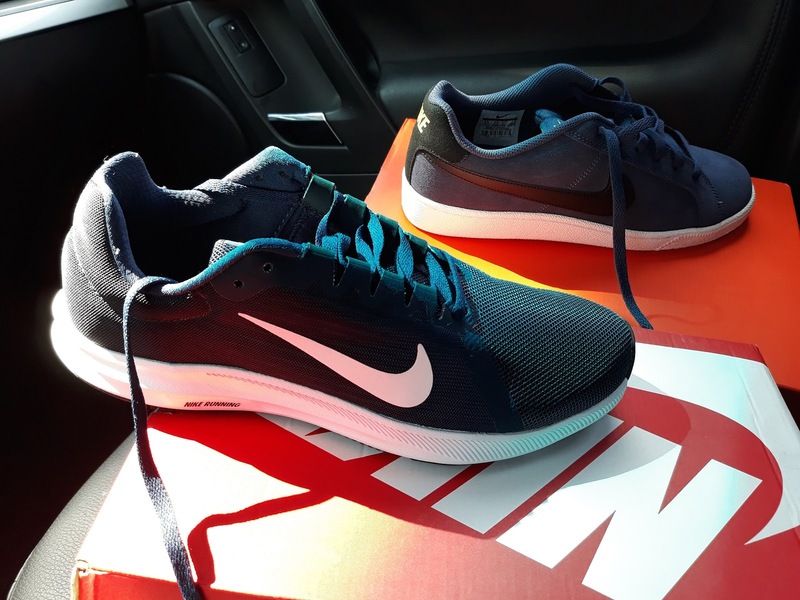 For myself I picked the dark blue/navy color which looks really simple and yet classy and elegant (for running shoes of course). These NIKEs are pretty comfortable for walks. I still haven't tried them running, which is their main purpose but I am sure they will do just fine with the task. The Downshifter 8 characterizes with lightweight materials and ergonomic shape which should improve one's movement and reduce stress on joints when running. I already shared with you the price I paid for my pair of Downshifter-s. They go on sale quite often so I would recommend you to check random online stores to compare prices. I personally wouldn't pay more than $45 for these, but that's my personal opinion. I have some concerns in regards to reliability but we'll see that in time and after covering some more miles with them.